As the company that built the first watch waterproof watch, Rolex has a long history of producing timepiees for the world’s most adventurous individuals. 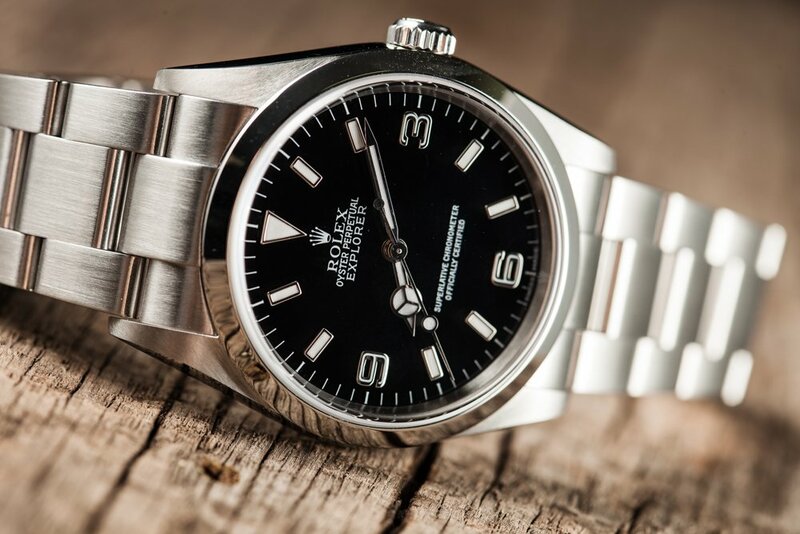 While Rolex now produces watches oriented towards a wide variety of sports and demanding conditions, the Explorer was the company’s first model aimed specifically at those with active lifestyles. 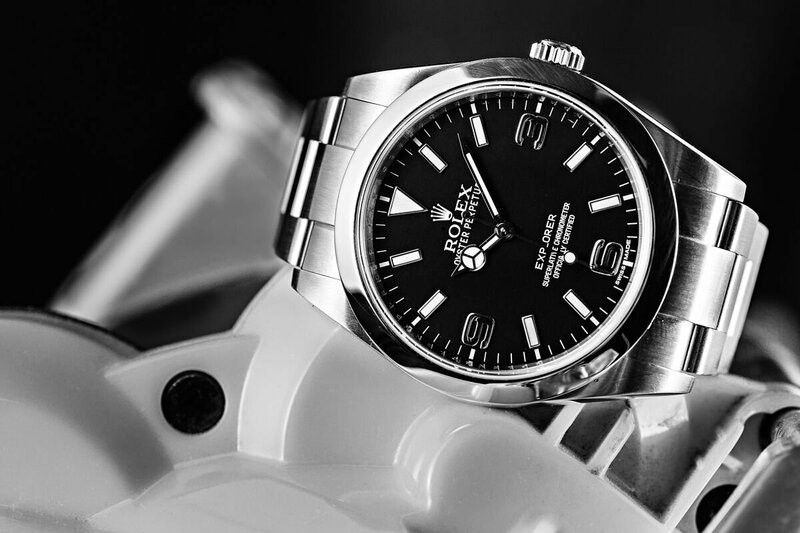 Originally introduced in 1953, the Rolex Explorer received it’s now legendary name when Sir Edmund Hillary became the first person to summit Mount Everest. 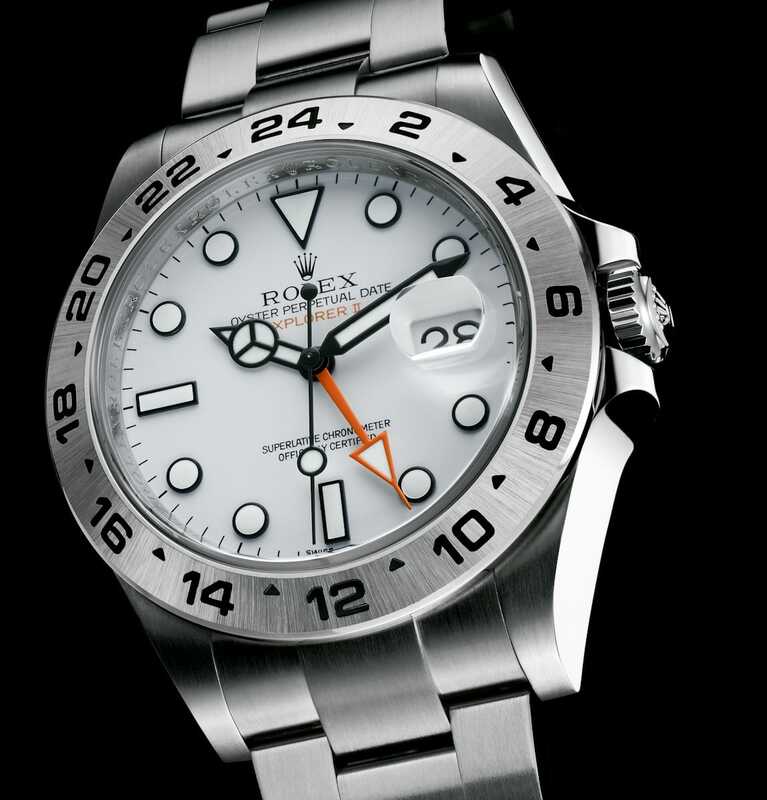 In celebration of his tremendous feat, Rolex released the Explorer: a watch made specifically for the adventurer. The original Explorer was nothing more than a straightforward and well-built sports watch with temperature –resistant lubricants that allowed it to operate accurately under conditions ranging from -4° to +104° Fahrenheit. For the most part, the Explorer line has stayed true to its roots; however, it has seen subtle additions to the references of Explorer I and Explorer II models over the years that have helped make it better suited for active lifestyle and the outdoors. The most recent incarnation of the Rolex Explorer, the reference 214270 has seen its case diameter increase to 39mm (still offering users 100 meters of water resistance), while the caliber 3132 movement has been fitted with Paraflex shock absorbers for greater impact resistance. From a design standpoint, the Rolex Explorer adheres to a philosophy of the bare essentials – perfectly executed – with no extraneous features whatsoever. There are no dial color or bracelet options, no day or date complications, and 904L stainless steel is the only material from which the Explorer is made – no 18k gold or two-tone (Roleasor) options are available. For those who like the utilitarian, outdoors-oriented approach of the Rolex Explorer, but who would also benefit from additional functions on their watch, the Rolex Explorer II is a fantastic option with a much less minimalistic feature set. Like the Explorer, the Explorer II is only available in stainless steel and on an Oyster bracelet. However, it also gives its users the added utility of a fixed 24-hour bezel, a 24-hour/GMT hand, and a date complication. Additionally, on modern references of the Explorer II, including the latest version (the reference 216570), the hour hand can be set independent of the 24-hour hand, allowing users to simultaneously display two different time zones. Like the Rolex Explorer, the Explorer II’s caliber 3187 movement is fitted with Paraflex shock absorbers for increased protection against impacts. However, the Explorer II is slightly larger than the regular Explorer, coming in at 42mm in diameter, with both black and white dial options available. While the Submariner is for those that scuba dive, and the GMT-Master is for those that frequently travel across time zones, the Rolex Explorer line is for those with adventurous lifestyles that do not know what conditions may await them. 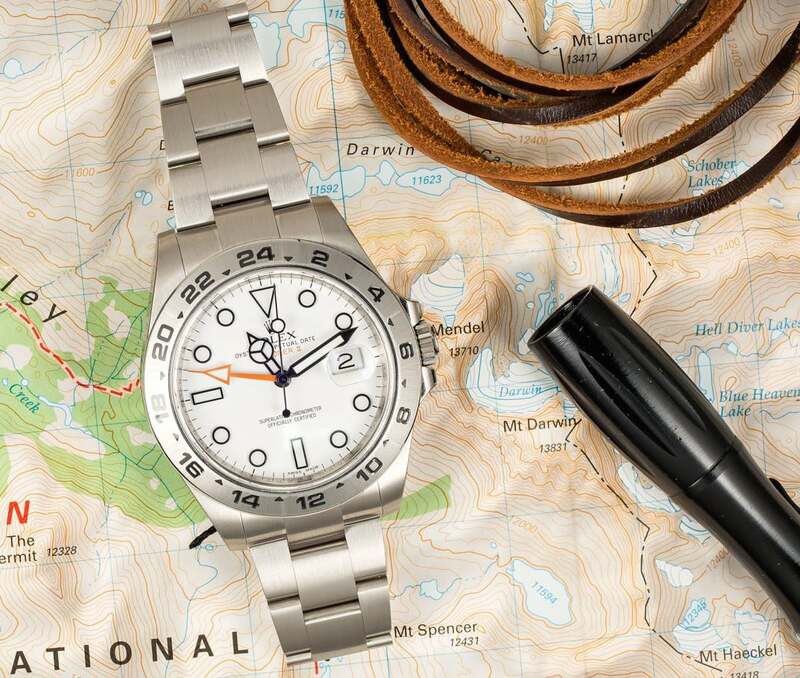 Whether it is moisture while crossing a river, or impacts while climbing a mountain, the Rolex Explorer was designed to handle any conditions that you may encounter while traversing in the unknown.